We love lamb and I had my way, we would eat it every night. However that isn&apos;t that case but we do often have lamb and I am always looking for new mint sauces to try out. I love the Barkers range and it is a trusted brand in our house. I am a lazy cook, and I always throw the lamb in the slow cooker for a Sunday roast. This week it was no different and I slathered it with this sauce to cook in. I do this to add more flavour to the meat, but also so the gravy has more flavour. By the end of the day, the house was smelling amazing. The gravy has a solid minty flavour to it and was delicious on the meat. My partner and son also drowned their meat in more of this sauce, exclaiming how good it was and why wasn&apos;t I wanting any more! (I&apos;m a gravy girl!!) I however was persuaded to try just the sauce on the meat and I could agree that it was a really nice way to eat it. The sauce has a strong flavour without being too overpowering. I also cooked a lamb stir fry one night and used this to marinate the meat in before cooking. This was absolutely divine and it really lifted the stir fry. It would work well with just veges as well. We had carrots, broccoli and snowpeas, however any combo would be great. Overall this is another fantastic product by Barkers that is sure to appear in my trolley again in the near future. 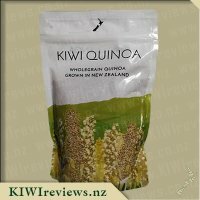 The packaging is simple, clean and effective and I love that it is a New Zealand product. 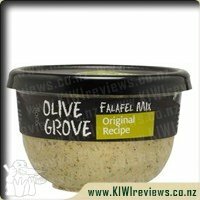 It is on par cost wise with other mint sauces and this in my opinion doesn&apos;t really make a difference. I look for interesting tasty products and as long as they are what I like, I will purchase them. Fantastic! Being brought up with an English father, roast dinners were a common meal, and I have come to love mint sauce on my vegetables, and combined with gravy for my meat. I usually go for the thick sauces with the most mint and the sharpest flavour. As a sauce on it&apos;s own, this balsamic mint works well with wraps and salads; it&apos;s thin enough for a nice salad dressing, and isn&apos;t too strong to overpower the flavours in a wrap. My big test for this sauce, was to see how well it worked combined with a gravy. 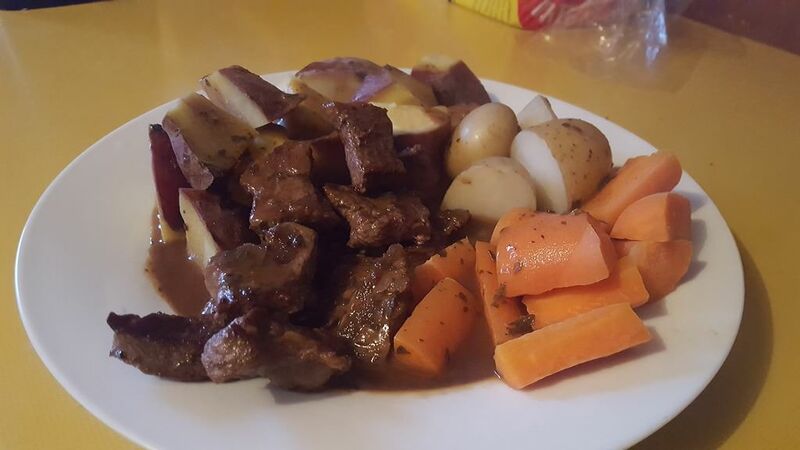 I created dinner one night when I was running out of ingredients, and ended up with a carbohydrate heavy meal of beef, potato, kumara, and carrot. With all of the vegetables being boiled to cut down on my cooking time, I was relying on the gravy to provide all the necessary flavour for the meal. While a strong flavour on its own, I found the sauce to be a lot more subtle when combined with a gravy. While it added a sweetness to the gravy, I did end up adding more on top of the vegetables to increase the strength of flavour. An enjoyable flavour, and certainly one that has multiple uses, but it isn&apos;t quite strong enough to make me change from my current mint sauce choice. Growing up, mint sauce was a staple in my house, I&apos;m pretty sure we used it at least twice a week, if not more often. When I eventually moved out and had to set up my own house and buy my own food mint sauce somehow got lost along the way, I guess it&apos;s because I wasn&apos;t eating as healthy as my parents used to cook for me but once I had my own kids and a husband to feed and nourish I fell in love with mint sauce all over again. It&apos;s just such a versatile sauce and can be added to almost any meal to give it a distinctive flavour. When I saw The Best Balsamic Mint Sauce up for review I just had to try it out. I bought some unmarinated lamb chops and baked them until they were cooked completely. I put the lamb on a plate and added some coleslaw and some avocado. Then I drizzled some of the mint sauce on top of the lamb and served it up for the family. As per usual, the lamb was a big hit but that&apos;s no surprise because my kids love lamb and always clear their plate. My daughter was a bit hesitant to try the mint sauce because she doesn&apos;t like new things but my son wolfed it down and wanted more. I found the sauce really easy to get out of the bottle and was slightly thicker than other mint sauces I&apos;ve tried. The extra thickness was good because it made it easier to dip lamb into it. just a heads up, the avocado also tasted rather nice dipped into it and I could see that it would make a really nice salad dressing if you were after something a little different. The addition of Balsamic Vinegar into the mint sauce really made a difference in the taste, it wasn&apos;t as sweet as other mint sauces but had a slightly tarter taste. I loved the look of the bottle and loved how by just looking at it you could get some inspiration for other meal ideas, which is always appreciated in a busy household. Overall, I think it was a really lovely version of mint sauce but does it live up to it&apos;s name, The Best Balsamic Mint Sauce? Well, considering I&apos;ve never actually seen or heard of another balsamic mint sauce then yes, it would have to be the best but I would also say it&apos;s the best mint sauce I&apos;ve had in a very long time. Well as soon as I saw the Barkers Balsamic Mint Sauce listed on KIWIreviews, I had to request it! I simply can not eat roast lamb without Mint Sauce, I slather the meat, roasties and the peas all with it and boy oh boy do I enjoy it!! And what better mix could there be but Balsamic and Mint? As the saying goes, "To Die For". 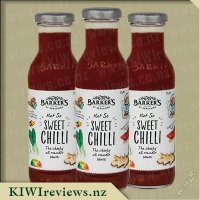 I really do like the artwork that Barkers have designed for their range of bottled sauces, its not too busy, its crisp and modern but yet somehow still homely looking. 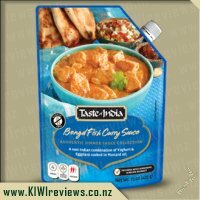 The bottle was easily opened and the sauce was slightly thickened, which was great as most other mint sauces you buy are just like water in their consistency. I gave the sauce a good sniff and what a lovely smell to the senses; pure mint with a hint of balsamic, sooo yummy! I added the sauce to my baked lamb chops, firstly marinating the chops in the sauce, then baking them in a gravy with extra mint sauce added. The cooking smells were very enticing attracting my 10 year away from her iPad to ask what the yummy smell was! I served the chops with mashed potatoes and steam fresh vegetables and what a huge success, not an uneaten plate to be seen, and then my family all agreed that I would have to make those same chops again. I look forward to using this sauce with a traditional lamp roast or as a basting sauce for kebabs on the BBQ. This Barkers Balsamic Mint Sauce is now officially my favourite and I will be buying this sauce as our regular go-to mint sauce from this day on. I made standard meatballs with lamb mince, breadcrumbs etc. and then took a guess at how much sauce to add - and decided on a fairly decent dollop and served them up for dinner. And it turned out that I needn&apos;t have worried about hubby - he absolutely loved them and couldn&apos;t get enough. Unfortunately Miss 7 wasn&apos;t a fan - but to be honest I was expecting that as she&apos;s not really tried mint before. I&apos;m definitely planning to make these meatballs again though - a really nice way to use the sauce. The flavour was subtle, but enough to really give a different feel to a standard meatball. Then because I was already sold on the idea of this sauce with lamb, I decided to try marinating some lamb chops in the sauce tonight. I only used a very small amount of sauce and then cooked the lamb in the air fryer - it was absolutely delicious and had lovely flavour, but I also found pouring extra sauce over the lamb and mashed spuds before eating, made it even better. Yum - I wouldn&apos;t serve anything else with my lamb from now on... and yes hubby loved it too! This sauce has great mint flavours but to get it past hubby means that the whole balsamic mint combination is so beautifully done and not just mint overload. I have to say this sauce is very very good and I&apos;ll be definitely be restocking this when the bottle runs out. 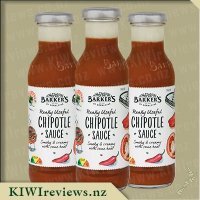 There are so many possibilities - I know Barkers sauces are great on pizzas, so my next plan is to try this on a lamb pizza - yum! When I got the Balsamic Mint Sauce out of the box of goodies to review, straight away my son said yum I can� ™t wait to try that. We really like mint sauce in our house, my son has it on his meat and vegetables (roasted and steamed). I made a batch of roasted pumpkin and added the Balsamic Mint Sauce to the uncooked pumpkin and tossed them through the sauce. Roasting the pumpkin in the sauce gave it such a lovely flavour. Something I had not tried before but glad I did. I normally pour over cooked roasted vegetables but this was a great flavour to bake into the pumpkin while it cooked. I also have tried this Balsamic Mint Sauce on roast pork and it was amazing. I love the flavour and fullness of the sauce. The thickness is great and the texture is even better. Some mint sauce is too runny or weak in flavour but I find this sauce has the right flavour. I love the balsamic flavour; it gives it a slight tangy taste but also sweet. I really love the flakes of mint throughout the bottle as well. So much flavour packed into one bottle of goodness. I think the bottle design is eye catching and appealing. 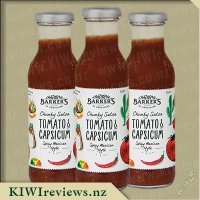 Really good recommendations on the bottle of what to add the sauce to, the pictures are effective and eye catching. I noticed on the label as well the gluten free print is highlighted in yellow, which is great for people who are looking for gluten free products; this would make it easier when reading the label that it pops out to the reader. The bottle size is perfect and for $3.90 it is a great price to pay for the amount of uses you would get from it. Any sauce that helps my son to eat his dinner is a must and when my son loves a mint sauce that makes him eat all his vegetables, that� ™s great in my eyes. My son has been having mint sauce on his meals for about 4 years now, and he said that he really really really loves this mint sauce. So he gives it a 10/10. It has both of our votes. 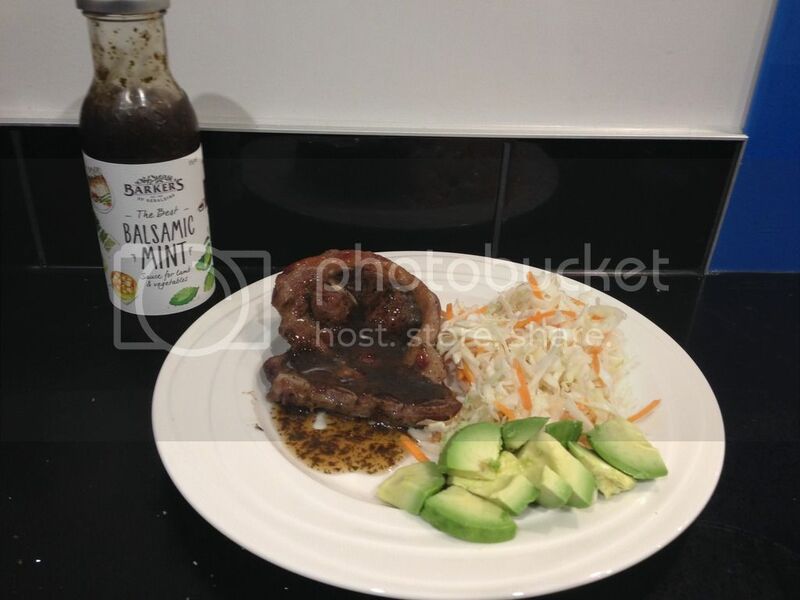 I&apos;m a big fan of balsamic vinegar and mint sauce so jumped at the chance to try the Barkers flavoured sauce. The packaging is really bright and simple and being a glass bottle makes the product seem a higher quality. Being gluten free is also a bonus and knowing the Barkers brand knew it would also taste delicious. I first thought the balsamic flavour would overpower the mint but I was wrong, there is a large quantity of mint in the sauce so the flavour definitely comes through. I used the sauce over roasted vegetables as a substitute for gravy and it was such a nice fresh flavour I thoroughly enjoyed it. 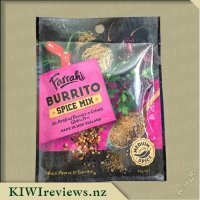 You have to be a bit careful when it comes to pouring as it doesn&apos;t have a pouring lid as some others have and you could easily over pour and use up the product really quickly, I used a tablespoon to ensure I didn&apos;t use too much, otherwise the packaging is great. I don&apos;t think it&apos;s too overpriced compared to the others but since mint is mint it&apos;s not that far superior that I would choose it over some cheaper brands. 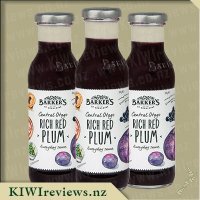 I would definitely buy and use this product again and would love to also try some of their other flavours some sound really interesting. I&apos;m looking forward to trying this on my next lamb dish. We don&apos;t eat a lot of roasts in this house, mainly due to costs and how much they wanna charge you for one, but I do make plenty of roast potatoes and salads so figured this could be a good twist on what I usually put on such dishes. 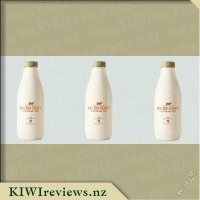 I really like the bottles label design, it certainly caught my eye and I know that for me, this will make it stand out more on the shelves in the supermarket. It suggests that each serving is about 15 grams, but I know that for us, less would be needed making this go a little further. I tried this on some roast potatoes and it made me think of hot salt and vinegar chips, took a little getting used to but gave a nice little change to the dish. Then I tried it on a salad and it fitted right in, perfectly, adding just the right hint of flavours and really adding to the salad and elevating it. My 6 year old wanted to finish off some sauce that was on a spoon and though I thought she&apos;d take her time, she gobbled it down and asked for more. I will be sharing this sauce with my mum, so that it will get slowly used up, on a variety of salads, yum! Sunday nights is always roast night in our household as is the only day I&apos;m home early enough to cook one. The roast of choice is usually roast lamb and of course you can&apos;t have lamb without lashings of mint sauce. I&apos;m generally really fussy when it comes to mint sauce and tend to stick to one brand, when Barker&apos;s Balsamic mint sauce came up for review though it was the perfect chance to step out of my comfort zone and try something new. My review package arrived just before the weekend so perfect timing to have with our roast lamb on Sunday. Once dinner was cooked I was a little unsure about going ahead and just tipping it all over my plate, just in case I didn&apos;t like it. So I poured a little out to taste it first, from the second I dipped a bit of lamb in it and tried it I was sold! 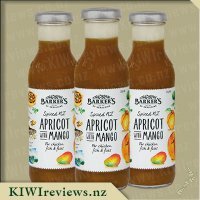 I can tell you now my normal mint sauce will be staying on the shelf and Barker&apos;s will be making its way into my shopping instead. Baker&apos;s have managed to create the perfect mint sauce. The taste is stunning just the right mix of balsamic and mint neither ingredient outshines the other. I was also very impressed with the thickness of the sauce, it flowed easily from the bottle but didn&apos;t flood the plate like most sauces. We always have a bit of leftovers so I usually make a roast vegetable salad for lunch the next day. Generally I use a french dressing or a bit of balsamic on my salad but I decided to try it with the mint sauce instead. The sauce worked perfectly as a salad dressing as well. It&apos;s a new favourite in this household for sure. Mint sauce...a real love/hate relationship in our family with different brands. You think you&apos;ve found one you like...and then they change the recipe and you have to go and find another favourite! Well Barkers, you&apos;ve gone to the top of your class with your balsamic mint sauce. Full of minty goodness but with balsamic adds an extra zing to it which puts it over the top and very yummy. A pet peeve is watery sauce which goes everywhere on the plate...everywhere but the food item it&apos;s meant to! But yay, this balsamic mint sauce actually flowed enough to not get stuck in the bottle, yet stuck enough together to stay on and next to the lamb and not get mixed with vegetables I didn&apos;t want mint sauce on. It smells delicious, it tastes delicious, it&apos;s not expensive at $3.89 for the bottle (at Countdown)...it&apos;s a winning combination! The bottle itself stands out from others, even though it doesn&apos;t have bright packaging, or a weird shape. It&apos;s classic look of hand drawing sets itself apart from other bottles and took my attention directly to it in the sauce aisle (even though it isn&apos;t at eye level). The bottle isn&apos;t too big, or too heavy, so easy to hold and pour without pouring too much out. I used to adore Mint Sauce as a kid. We would have a roast meal at least once a fortnight, which became 2-3 times a week when we moved to a rural area for a few years in my mid-teens. 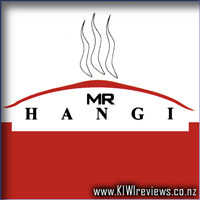 At least one of those roast meals would be a Lamb roast, and what&apos;s a Lamb Roast in NZ without mint sauce! Because my mother was a dab-hand in the garden, she would always have a small forest of mint growing - usually in 2 or 3 varieties - and she had a mix of mints that she would use to make the most incredible mint sauce. Despite my best attempts, I am a lethal force for plant-life - heck, I can even kill "air plants" which are supposed to be nearly impossible to kill. It&apos;s like some demented superpower - give me a plant to look after, and it&apos;ll die. So... I&apos;ve never successfully been able to recreate my mum&apos;s awesome mint sauce. Thankfully, it appears Barker&apos;s have done a pretty good job for me. The sauce itself is stunning, with just the right balance of sweetness, mintiness and tartness. Now, if I go to a roast shop for a meal, I say "No thanks" to their mint sauce, instead pulling this bottle from my backpack and applying liberal doses for myself. The looks I get have ranged from merely curious to outright insult... but hey, I paid full price and they get to give that pale imitation sauce to another hapless diner, so they shouldn&apos;t get upset. Recently, I decided to make a simple breakfast of scrambled eggs. Reaching into the fridge for another sauce in this range, I inadvertently grabbed this one by accident. I wasn&apos;t paying attention, and only realised my mistake after I had dolloped a fair blob on my eggs and the smell triggered a mental alarm. Too late to change things, and reluctant to waste the eggs, I had an exploratory nibble, and was amazed to discover how well the flavours went together. Roping a friend into taking on the "experimental victim" role, I made her the same dish, and she agreed it was actually really quite tasty. It looks a little off-putting at first, but if you have enjoyed mint sauce on roast meats you&apos;ll be fine with this too. I encourage you, dear reader, to try it for yourself. Overall, this sauce is everything a mint sauce should be, for me, and thus it has earned a place on my shopping list... named by brand, which is something reserved only for the best products that can not be substituted for a cheaper alternative product. When I think of Mint Sauce images of baby potatoes smoothered in melted butter mixed with mint sauce swimming on my plate spring to my mind or the delectable Roast Lamb with hints of garlic and mint. That minty flavour always gives that extra element to the dishes making it oh that much more sweeter. But adding Balsamic Vinegar to it gives it that extra element and reduces the sweet taste to something more, well tart. It looks just like Mint Sauce and smells like Mint Sauce but does not taste quite the same. We had Lamb Chops tonight and I added some of this sauce to it. In all honesty even though I could taste it I just could not put my finger on it and whether I liked the taste so I think I took it a step too far and added a little too much on the plate and the flavour over took the meal and where I was expecting it to be sweet and minty it just wasn&apos;t. It was not a bad taste just different and something that I will have to adjust too. Looking at the bottle I love the sketches they have of potential uses for the sauce and one which I had not considered was adding it to the garden greens - definitely something which I will be trying in the future. My husband who usually hates mint sauce and hates my special minty potatoes commented that he could not wait to trial them with this new sauce. 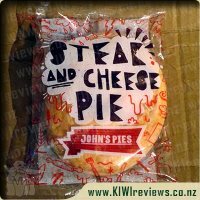 He enjoyed the different taste and said he was open to using in the future. This is something which has excited and surprised me. For the price definitely will be taking a place in our fridge.